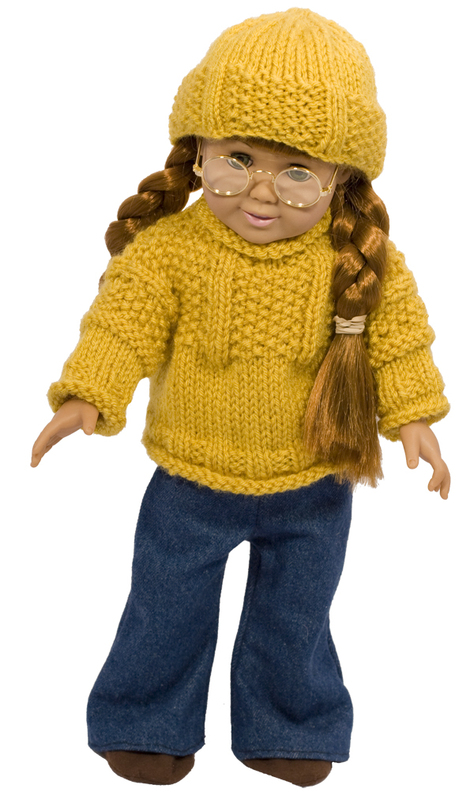 Finished Chest Size:	25", 29", 33", 37"
Knit a Matching Sweater and Hat for an American Girl Doll! 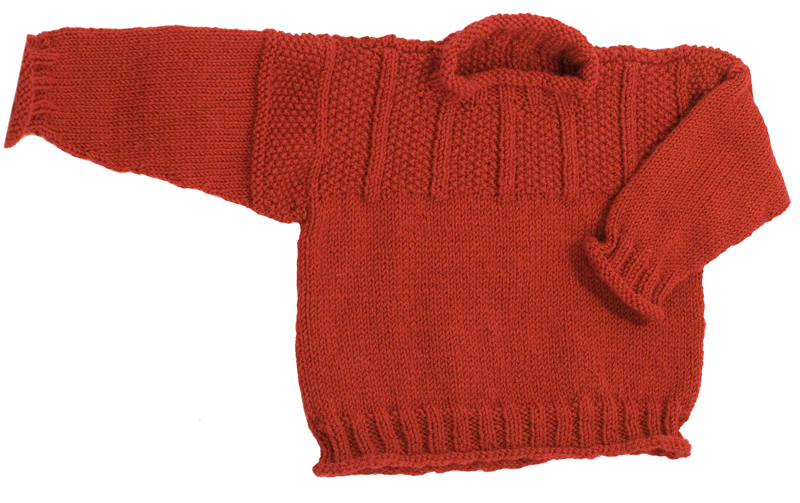 This adorable little fisherman-type pullover and hat for the American Girl Doll or any 18" doll evoke the cobblestones and trolley tracks of Philadelphia's historic Chestnut Hill neighborhood. With the Child's Gansey, this makes the perfect match for that little doll lover in your life!